A brand new Google Sheet add-on is just released from GSmart.in. The add-on is called Rapid MailMerge. Rapid MailMerge Add-on comes with its own email editor. 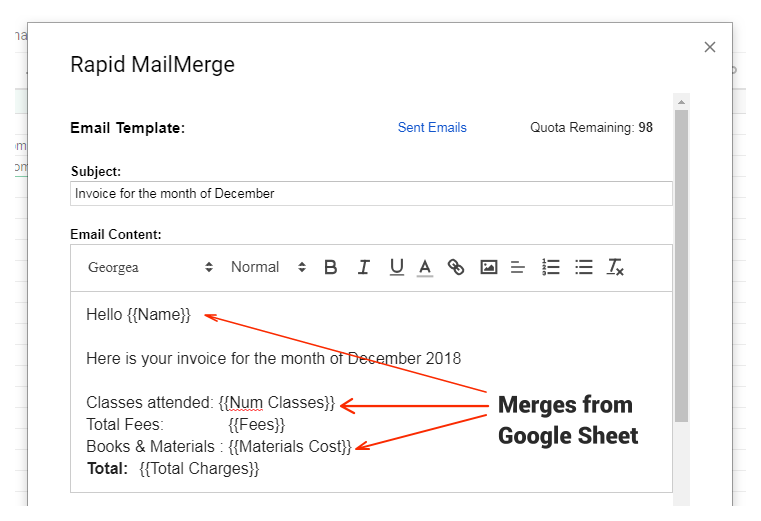 So you don’t have to leave your Google sheet just to compose your email template. You can preview each email inside the add-on itself. So you know how the email will look after the mail-merge. Once you are ready with your email, just send it. The add-on will pick the email addresses from the google sheet, personalise each email and send it to the right contact.